Remember the first time you played basketball? It was a moment that’s left an inerasable imprint on your mind. From the moment you held the ball in your hands, to the moment you fell on the court, only to get back up and try harder—everything about that day is unforgettable. From missed shots to finding out which position you excel at, basketball has played an important role in your life. It’s a role that will continue to help you in life in numerous ways, even outside the court. When you’re in the court, you start calculating the distance between you and your opponent. You keep timing yourself and thinking about ways to pass the ball to your team. While it may look like a “in the moment” thing, basketball helps develop your critical thinking skills. Players start using these skills even outside the court. In business meetings, coming up with new strategies for a project, budgeting their finances, and even parking their car—these are just a few examples of how basketball helps discipline your mind and help you think faster. It’s great for those who want to learn how to make on-the-spot decisions. 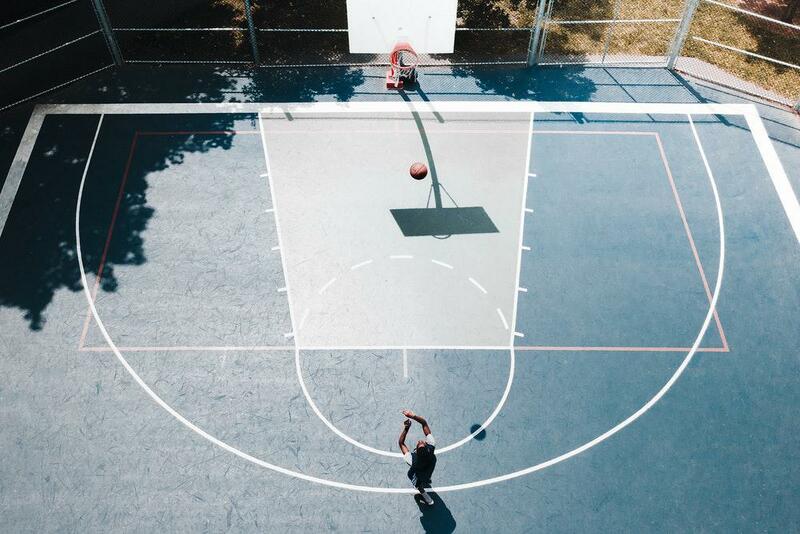 For those who don’t like going to the gym, an outdoor basketball court is your personal fitness club. Basketball works the core of your muscles and helps you stay fit and healthy. You don’t have to worry about having to leave your home because you can work out without having to travel. Those who play together, stick together. One of the best things about basketball is that you play in teams. You can play one-on-one with a friend and you will still be able to improve your relationships! This is what makes the sport so amazing. It’s never anything personal, it’s always friendly rivalry. This helps you connect with others, especially loved ones. Research shows that those who play basketball together as a team develop better social skills and are more self-confident. Not only do you develop as an individual, you also improve your leadership skills, empathy level and self-awareness. These are important skills that can help you build better networks and connections, even outside the court. If you’re looking for perfectly designed indoor and outdoor sports courts in Miami, Florida, Sport Court South Florida has got you covered! We are a licensed and authorized company that has more than 3 decades of experience in designing and installing superior quality sports courts for families across Florida. In addition to using high quality construction materials and equipment, our sport courts come with a 15-year warranty. Our experts are equipped with the knowledge to design superior courts for properties of all sizes. Get in touch with us now to receive a free online quote.